Good news for all Chocoholics out there! 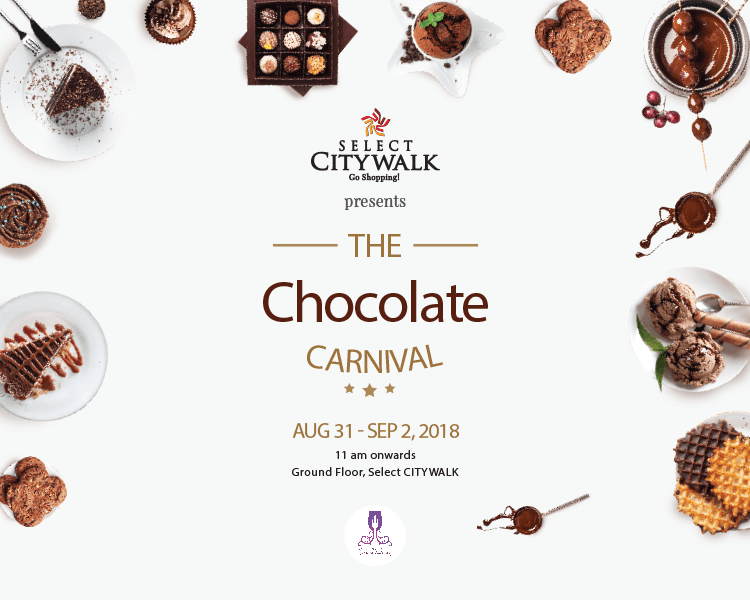 The Chocolate Carnival is calling you all to relish a wide variety of desserts and chocolatey creations. Enjoy 3 days of unlimited chocolate goodness, from Aug 31 – Sep 2, at Select CITYWALK and let your ‘sweet-tooth’ crave a little more.